Addiction takes many forms well beyond illicit substances. From doing things as seemingly innocent as eating too much food or even watching too much television, it is clear to see that overindulgence is not a good thing. Indeed, back in 2010, the WHO estimated that approximately ten percent of Americans have some form of addiction. Well, recent advances in addiction treatment over the past few years show great promise in helping people overcome their addiction(s). At The Front Range Clinic here in Fort Collins and across the Front Range of Colorado, our valued patients personally work with a drug abuse counselor to get the help for drug addiction they need to live happy and healthy lives. To learn more about our drug intervention programs or how we can help you or a loved one find a cure for addiction, visit our addiction services page. Usually, evidence-based treatments have quite successful treatment outcomes – notably, Cognitive Behavioral Therapy (CBT) has shown very promising results. The most successful treatment centers generally draw upon a number of research-backed treatments to obtain the best results. In an unfortunate effort to reduce costs, some treatment centers give all of their clients a standardized treatment with a set schedule. 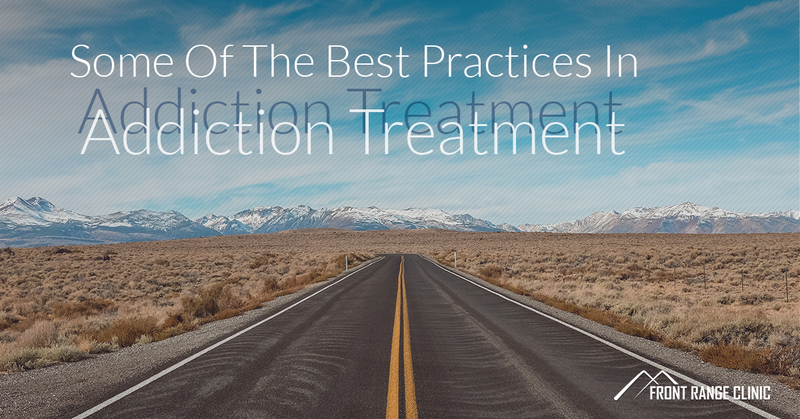 While this may seem productive and give everyone an equal chance to recover, each person has a unique case with psychological, family, work, and social factors that have contributed to or influenced their addiction. This is why individualized treatments are so important. Ideally, a program should be tailored to a person’s specific needs based on the initial clinical consultation and then adjusted accordingly with their treatment progress. Residential treatment tends to be the most successful when it includes one-on-one counseling with a trained clinician. Psychotherapy provides a supportive relationship to examine and work through various causes of addiction. It also provides a safe place to understand the original causes of addiction, what contributes to continued addiction, and what insight is needed to fully recover from the addiction. The fight to break through and overcome drug addiction doesn’t have to be fought alone, nor should it be. If you or a loved one is seeking help for drug addiction in Fort Collins or the greater Front Range area, get in touch with our drug addiction therapy services at Front Range Clinic.